Why Choose 4 Seasons Services? 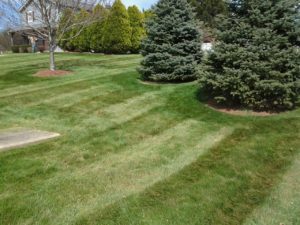 There are many reasons for choosing lawn care from 4 Seasons Services. Our programs accentuate your entire lawn, helping towards growth, denseness and lush green color. We take great pride in our commitment, our customers and prefer quality over quantity. 4 Seasons Services accommodates each and every customer with outstanding value. Our company puts forward our best effort on every one of our projects. We hope to gain you as our next new client. 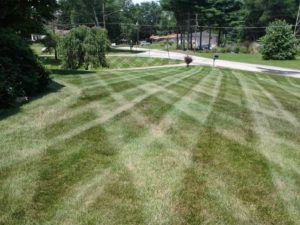 Call 4 Seasons Services today (330) 620-6200, and see how beautiful your property can be! 4 Seasons Services has helped clients establish lawns and landscapes to be proud of. 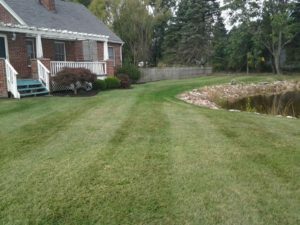 We combine great customer service with our commitment to quality and exceptional lawn care services such as fertilizer and weed control. From green grass to the quality of the soil underneath, you can trust us to keep your yard looking healthy and great from top to bottom. Aeration is the most important step you can take toward a healthy and beautiful lawn. Fertilizing alone does not improve soil conditions. Ideally, the aeration process should be performed twice a year. Overseeding is a great practice because, over time the individual grass blades of your lawn weaken and will perish with age. Control unwanted pest in your home with 4 Seasons Services series of perimeter pest spray treatments. Our completely organic treatments are safe for your family and pets. If you have an invasion of moles or voles, let the professionals at 4 Seasons Services rid these pests from your lawn. 4 Seasons Services always recommends using grub preventative to control grub larva before they can cause damage to your lawn. Take your lawn back from pests with a surface insect control treatment from 4 Seasons Services! You can add Tree and Shrub Fertilization service to our lawn care plan to improve the health of your trees and shrubs. 4 Seasons Services offers premium fertilization programs for all trees and shrubs in your planting beds. At 4 Seasons Services, we place a top priority on customer satisfaction, and we take great pride in our work. We always go above and beyond for our customers, taking the extra time necessary to complete your project to perfection. Extraordinary service combined with a knowledgeable Ohio Department Of Agriculture Licensed staff has helped us attain our goals. We are locally owned and operated, with a unparalleled knowledge of the Akron Ohio and surrounding areas. 4 Seasons Services provides only the highest-quality and personal service to each job. Your home is one of your most important investments. We realize the importance of making sure that it looks its best. 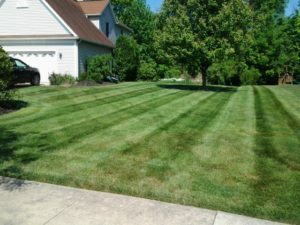 Our team will lay out all of the fundamentals of lawn care, including precisely whats needed to keep your lawn healthy and your landscape looking pristine. Call (330) 620-6200 Today for your No Obligation, Fast & Free Phone Quote! Our yard looks the best it ever has in the 23 years we have lived here. I’m serious when I tell my friends that the only disappointment I have with 4 Seasons is that I didn’t know about them years ago. I spent so much time, money and effort on the yard for years and I could never make it look this good. Thanks, 4 Seasons, for a great service and a great value. My lawn has never looked so cared for. I greatly appreciate all of your hard work and couldn't be happier. You guys have changed my opinion on lawn services for ever! Thanks Again. After seeing our neighbors using your services and now seeing how fast you made our yard look so nice in such a short amount of time. I just wanted to take a minute and say thank you for the great work. We've appreciated your services this year. You do a fantastic job. The yard looks great. I'm very happy when I come home from work and see the work you have done. Thanks again for the great rate and the lawn care you provided us.